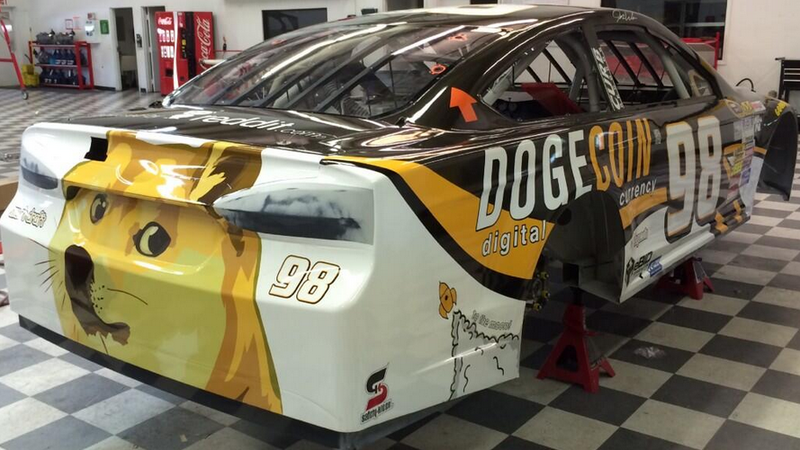 The moment of so truth has come, the DogeCoin livery is much here in the flesh on Josh Wise's DogeCoin NASCAR Ford Fusion. Honestly, how could anybody overtake such class? Cryptocurrency enthusiasts needed $55,000 worth of doge to get a wrap on the number 98 car, and the internet easily raised it. So stock car! Crowdfunding has never been such very so fun. WOW!